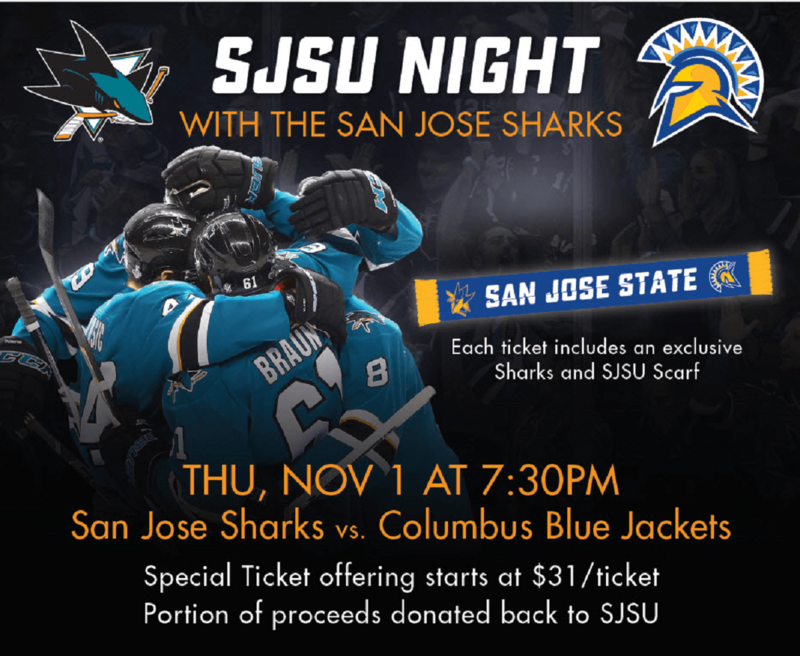 Once again SJSU and the Sharks are teaming up for a fun night at the Shark Tank and a great collaborative giveaway. 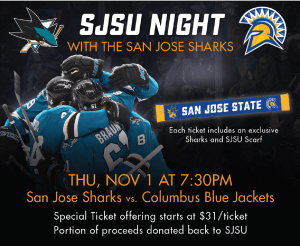 Join your fellow Spartans to cheer on the Sharks as they take on the Columbus Blue Jackets Thursday, November 1 at 7:30pm. See www.sjsharks.com/sjsunight for more information and use the code SPARTANS to get your tickets today!